If you are thinking of moving to Brooklyn you should definitely consider Park Slope. This northwest Brooklyn neighborhood has a lot to offer. Moving to this neighborhood is on the rise. It is one of the most desirable and popular Brooklyn neighborhoods for a reason. There are many old buildings with a rich history to see here. Bars, restaurants, and shops are amazing and offer something for every taste. It is close to the most popular Brooklyn locations Prospect Park, Brooklyn Academy of Music, Botanic Garden and the Brooklyn Museum. There are so many moving companies Brooklyn can offer. However, if you are moving here let the Park Slope Movers do the move and help you start a new life in this wonderful neighborhood. We are professionals and we offer reliable and efficient service. If you have decided to move you are probably thinking of either a DIY move or hiring movers. Since a move can be an overwhelming experience which causes a lot of stress, we are here to help you cope. 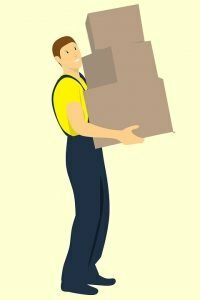 So what are the reasons you should definitely consider hiring movers, and especially Park Slope Movers? Well, first of all, you will have your peace of mind. We are professionals, and if you let us do the job, it means there is nothing you have to worry about. We know just how to pack, load, unload and unpack your belongings. Nothing will get damaged or lost. We are trained to transport everything safely to your new home. Moreover, even if something unexpected happens we will hold accountability for that, as real professionals always do. When it comes to moving, the experience is one of the most important traits your movers should have. We have performed hundreds of moves and we know what to expect. We have experienced it all. If an unexpected situation happens we are on it. If you are moving you yourself a little issue can cause a big delay. You might get hours or days of delay. However, we have seen it all and our team of professionals will know how to solve the problem. We will know how to lift and move heavy objects. Bringing them up or down the stairs can be a nightmare for you. That is why we will do it safely and efficiently. We at Park Slope Movers know how precious and valuable your time is to you. We know that time is money and we respect this rule. Punctuality is imperative and we always try to honor our moving plan guidelines and your time. Saving time is actually one of the reasons you should hire us. You are probably inexperienced in packing, lifting and unpacking items. Just imagine how much time a move will take if you decide to conduct it by yourself. 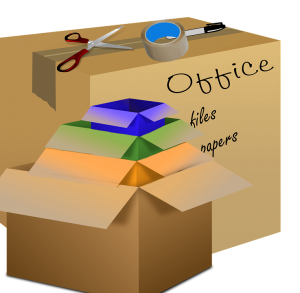 If you are not a professional just packing itself can be a time-consuming struggle. There are many tasks you need to do when you are moving. While your professional Park Slope Movers are doing the packing, loading, and unpacking you can do other things. 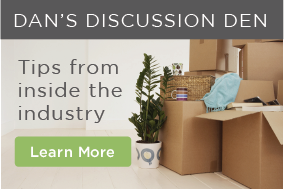 You can prepare your new home for move-in day. You might think that your move will be less affordable if you don’t hire movers. However, that is not necessarily true. If you don’t know what you are doing your expenses will be much higher than you expect. That is why it is really cost effective to hire professionals. We will give you average quotes and moving costs Brooklyn move will take. In addition, in a transparent and truthful manner, we will inform you about all of the additional costs your move might take. There will be no hidden fees. Moreover, there will be no hidden charges as well. If you are moving in a heavy traffic, bad weather or driving long-distance, you should know it can get tricky. If unexpected accidents happen, you should be prepared. More importantly, you should be insured. Your belongings might get damaged during lifting of transportation. That is why we have different types of insurance coverage in case of damage. 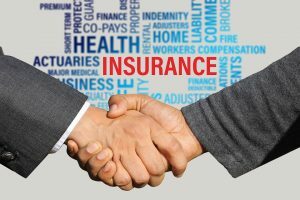 You can buy insurance with our company for very affordable prices. We at Park Slope Movers have certain principles and qualities. There are certain values we cherish. Great and considerate customer support – you will be treated in a pleasant and considerate way by our customer service. From the first phone call, you will find working with us to be an enjoyable experience. Moreover, the same goes for our movers, who are positive and communicative. Security and efficiency – we will make sure that all of your belongings stay safe and secure. We will treat your belongings with the utmost care and delicacy. In addition, we also appreciate and practice efficiency. That means that we will try to perform the moving process and quickly and professionally as possible. Confidence and accountability – we are professionals and we are confident that we will do the job right. We fell confident that we can solve all of your potential problems because of our vast experience. We cherish accountability above all and we are reliable. Moreover, you will always be able to count on us as our clients.